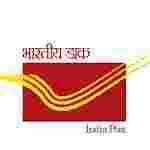 Maharashtra Postal Circle recruitment 2017 notification has been released on official website www.maharashtrapost.gov.in for the recruitment of 284 (two hundred and eighty four) vacancies for Gramin Dak Sevaks. Job seekers should apply from 01st December 2017 and before 30th December 2017. Here on this page you will get the details like the Name of vacancies released by Maharashtra Postal Circle with exact number of posts. Some other criteria like Education details, application fee and way to apply application for Maharashtra Postal Circle recruitment 2017. Educational Qualification: Pass 10th standard from approved state boards by the respective State Govt. / Central Govt. Fee charges: Applicants who wanted to participate for Maharashtra Postal Circle should pay the below charges through any Head Post Office. Candidate who requires to make the payment has to visit any Head Post Office to make the payment. Interested and eligible aspirants should apply online through the website www.indiapost.gov.in OR www.appost.in/gdsonline from 01.12.2017 to 30.12.2017.